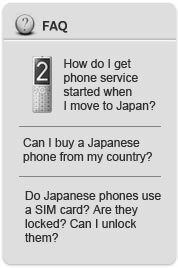 Since most Japanese have never heard of the BlackBerry and are unlikely to take to its "clunky" and "large" design compared to Japanese handsets, if you come to Japan you can almost not find BlackBerry in Japan at anywhere. The initial BlackBerry device will have no Japanese input, which restricts the device to foreign expatriates in Japan, and guarantees to keep BlackBerry initially out of the mainstream Japanese market. This means that the initial market will be mainly managers in foreign subsidiaries in Japan. 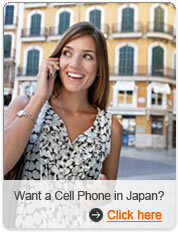 Those managers, who are integrated into Japan's business world and private world, will need a separate local Japanese mobile phone to communicate and exchange email messages with their Japanese colleagues. And these are not continent for those who come to Japan for business. MyJapanPhone has a specialty BlackBerry support team, we built up a BlackBerry FAQ , and if you have any other question of BlackBerry or want to rent a BlackBerry which can easily used in Japan, please do not feel hesitate to contact us at: Service@MyJapanPhone.com, we are sure can give you the comprehensive help. A good thread that covers some of the real reasons many people prefer to use a BlackBerry over multimedia handhelds running PalmOS/PocketPC such as Treo/iPaq handhelds. Useful information about the many key shortcuts available on BlackBerry. Including the key press shortcut that allows you to multitask multiple applications on a BlackBerry. Information about how to set up instant messaging on a BlackBerry, for chatting on the MSN/ICQ/AIM/Yahoo networks. Gai the added convenience of always-on instant messaging, on top of always-on email! This thread talks about various methods of how to send SMS messages between a BlackBerry and other cell phones, as well how to send an SMS using email from any computer. This can provide free unlimited outgoing SMS messages if using an unlimited GPRS plan. Thread that describes how fax-to-email services work, even including faxing hardcopy documents.